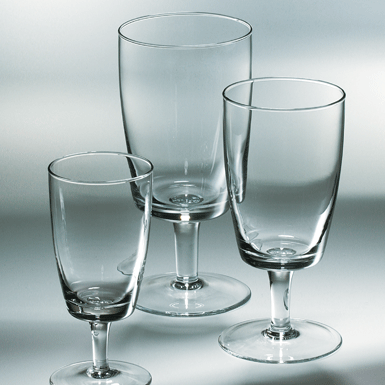 The coffee glass is an invention of Glasi Hergiswil. Hundreds of thousands of these glasses were Mouth-blown in three shifts during their heyday in the last century. Today they are made by machines abroad for a spot price. We have taken up the old form again, increasing the size of the glasses. Quite a laugh to hold such a giant coffee glass in your hand. Caution: measure out shots carefully!